The Ultimate 2015 Football Trivia Quiz. 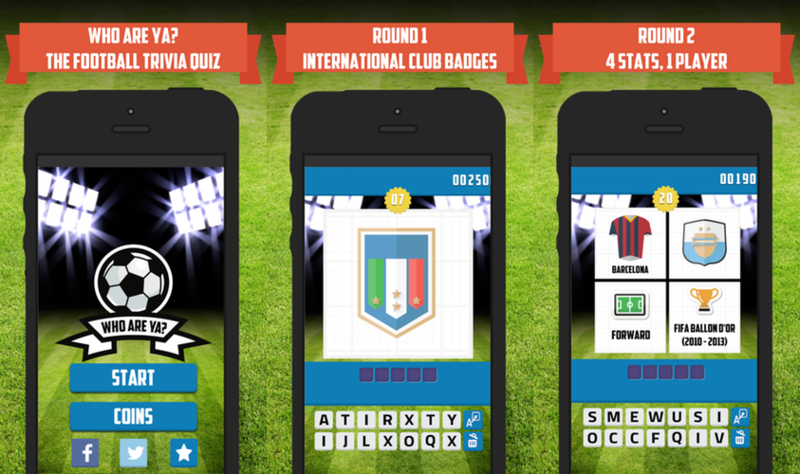 Demonstrate your soccer skills and mental agility and see if you can guess all the International Players and Club Badges. You might know the flag, but do you know the badges? Guess all the International Club Badges. Features players from all the top leagues including the the Premiership, La Liga, Serie A and top clubs including Manchester United, Barcelona, Real Madrid, Chelsea, Juventus, Arsenal, Bayern Munich, PSG and Manchester City. Complete with friends online by share scores and levels via Facebook, Twitter and Game Centre (iOS only).